Rising property prices mean that many buyers are opting for flats, apartments and maisonettes over houses, therefore, a common concern is a lack of private outdoor space. However, we’re finding clever ways around this with the concept of the ‘indoor garden’. More and more people will have the opportunity to enjoy all the advantages that gardening brings without the need for a private garden; such as boosting health, increasing happiness and giving access to fresh fruits, vegetables and herbs. 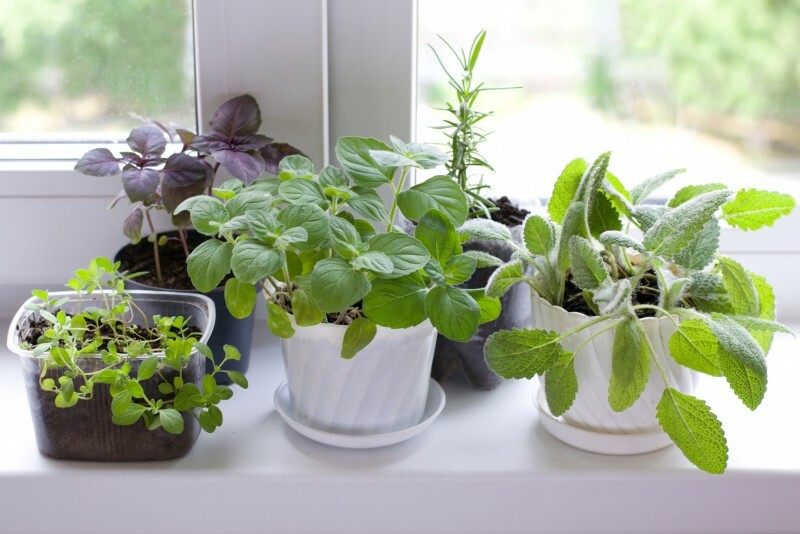 Kitchen herbs do best in a sunny spot, but be careful not to give them too much direct light. Some herbs, like basil, are delicate and can easily burn by spending too much time in the full sun. Being in a sunny spot, herbs can dry out quicker than you may think and require regular watering. Make sure there’s good drainage, as roots can easily rot if they become saturated. Herbs thrive indoors because they do well at ‘room temperature’, but take care to avoid them getting too chilly at night. Make sure leaves aren’t touching the window which can get very cold. 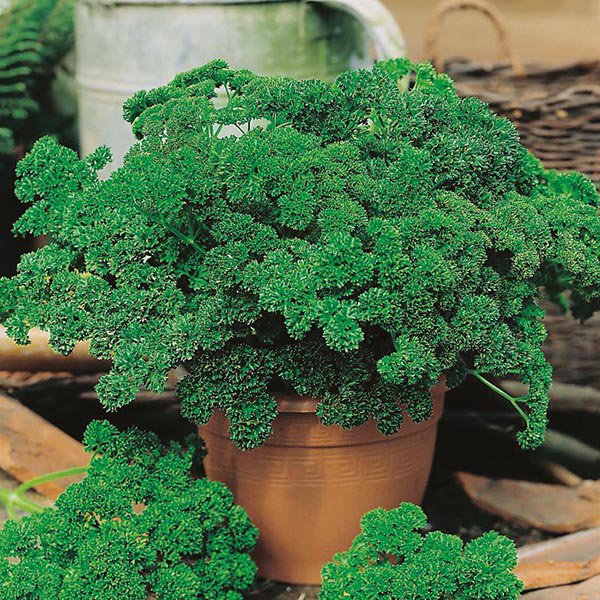 Parsley moss looks like tiny trees and is definitely one of the most fascinating-looking herbs if you want something decorative. Also consider red-leaved basil for a bold, vibrant colour. There’s nothing quite as fresh-smelling as coriander. A gentle shake of the plant is all you need to fill your home with mouthwatering smells. 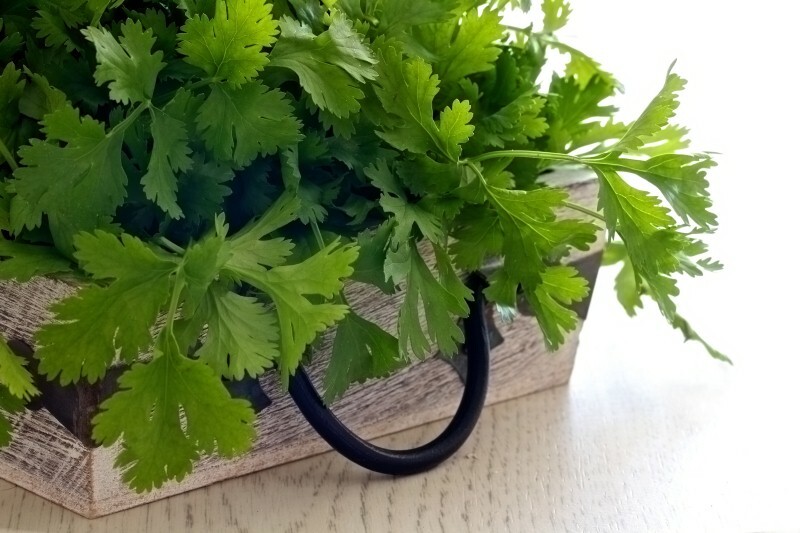 Plus, coriander is really simple to grow too. 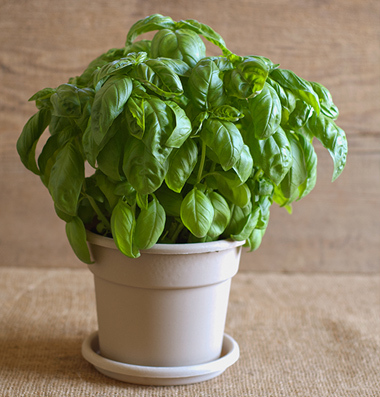 Sweet genovese basil is a must-have for tomato based pasta and Italian-style pizzas. One of the great things about basil is that it’s very quick growing, so you should always have a healthy supply. And that’s not all! Dill, chives and plain-leaved parsley are all really easy to grow indoors. Once you’ve gotten the hang of growing simple kitchen herbs, why not branch out and try your hand at growing some fresh fruits or vegetables? Bell peppers, chilli peppers, tomatoes, garlic bulbs and mushrooms can all be grown indoors. If you’ve got some large, deep buckets you may even be able to harvest a few root vegetables like potatoes or carrots. There’s no limits to indoor gardening!